Put away your cynicism about rolodex records—rarely do albums this star-studded sound quite so organic. 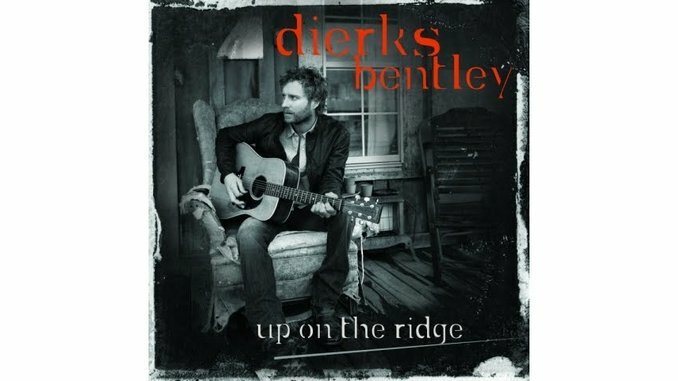 Up on the Ridge comprises ambitious covers executed with modesty and respect, magnanimous co-writes and a loving attention to sonic detail; a true celebration of the state of modern country. A smoldering cover of Dylan’s “Señor (Tales of Yankee Power)” features gorgeous fiddle and mandolin interplay, while the wistful “Draw Me A Map” ranks among Bentley’s most poignant ballads, with its aching lead vocal performance; a chart-topper like this guy integrating as deep and disparate a group of performers as Kris Kristofferson, Alison Krauss, Miranda Lambert and Vince Gill is the icing on this home-made cake. (For the rockists, it’s the equivalent of The Fray doing a deep blues record with Eric Clapton, Rivers Cuomo, B.B. King and Thom Yorke.) Bentley’s creative vision and foresight is rewarded with the fearless execution of this wieldy undertaking.